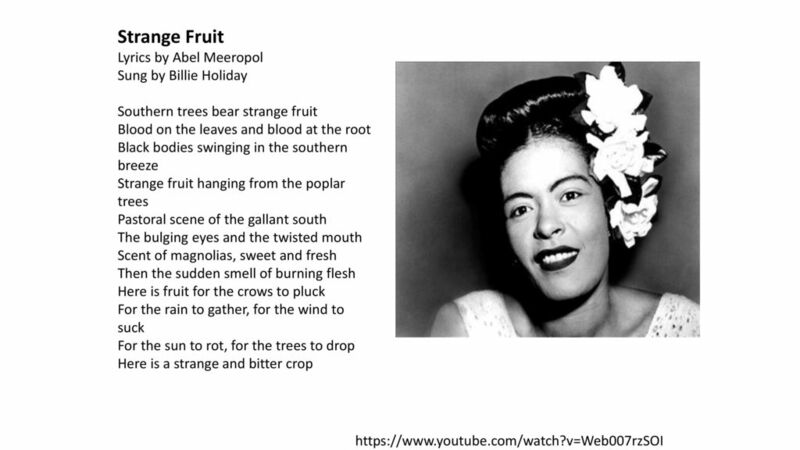 In the 1930's a poem called Strange Fruit, written by a Jewish teacher from the Bronx, was used as the lyrics for what became an iconic lament for the grave and multi-generational injustice of lynching in the United States. Untold numbers of people of colour were beaten and hanged for everything from property theft to accusations of looking at white women with disrespect. It has been recorded by a number of performers through the years but is strongly associated with Billie Holiday. Today a memorial to those who died in this terrible fashion was opened in Montgomery, Alabama, facing the state capital. It's called the National Memorial for Peace and Justice. Inside eight hundred steel blocks hang from the ceiling, bearing the names of 4,400 victims, and over time they will rust to a blood-red tone. Another exhibit features bell jars filled with dirt from the site of each lynching and also bearing the names of those killed. 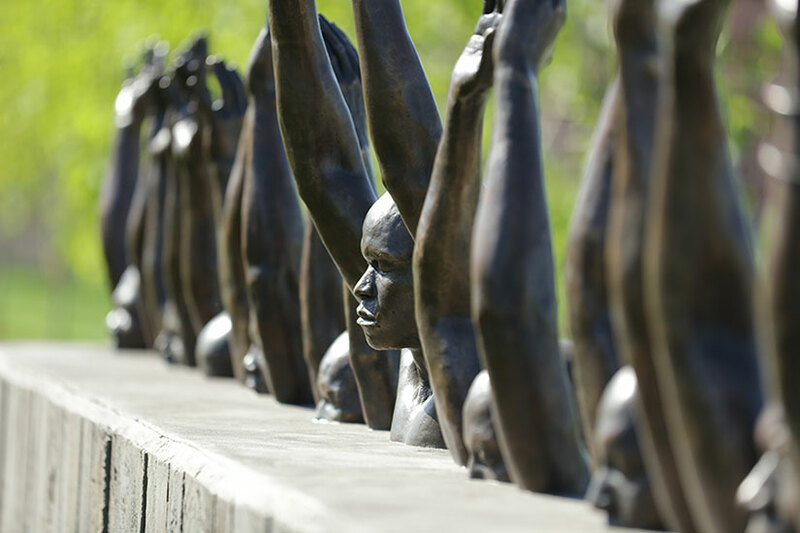 The memorial is the vision of Bryan Stevenson, the founder of the Equal Justice Initiative, a non-profit organization that documented the lynching of thousands of African-Americans across the South from 1877 to 1950. When I first heard about this memorial I wondered about what is essentially a museum to an atrocity. Why would people want to go to visit such a place. Of course, I thought that as a white male whose forbearers did not suffer, nor had to worry about suffering vigilante injustice. I have visited Holocaust memorials in Jerusalem and other cities. Each time I was tremendously moved. Stevenson is a lawyer and a Christian who often quotes scripture when he speaks to groups. He was inspired by the Holocaust Memorial in Berlin and the Apartheid Museum in Johannesburg, says he wanted the memorial to capture just how brutal the targeted killing of black people was in Jim Crow South. You might be interested in my Groundling blog while you're here.